By students, for students! This new program promises a lively mix of art, food, and entertainment at the Hood Museum. By students, for students! This new program promises a lively mix of art, food, and entertainment. Organized and hosted by the Museum Club. 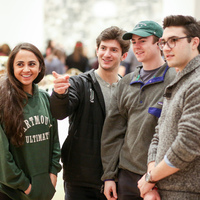 Free and open to all Dartmouth undergraduate and graduate students.